Wishing Ajith kumar a happy birthday! layathalapathy Vijay's 'Thupaki'- First Look! Thuppaki Joins Billa 2 and Viswaroopam! Actress Anushka to remake 'Kahani'? Ajith is celebrating his 41st birthday today and it can't get better for his fans as Billa 2's audio is also hitting the stands today! Ajith, affectionately referred to as Thala, entered the film industry as hero with Amaravathy in 1993 and since then has been building a successful career. Last birthday, the star disbanded his fans' associations creating a ruckus among his fans but the star remained firm on his decision. 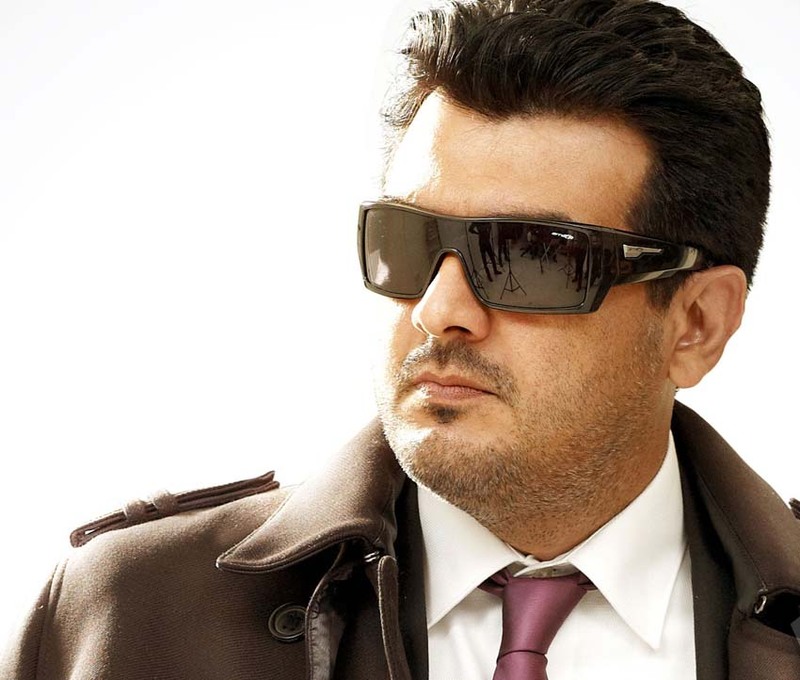 This year, his Billa 2 is keeping his fans elated and euphoric. Though the film's release has been put-off to June, fans are excited about the audio launch is happening today. Top10cinema is happy to wish Ajith a very happy birthday and successful year ahead. May he continue to entertain us with loads of films in future! 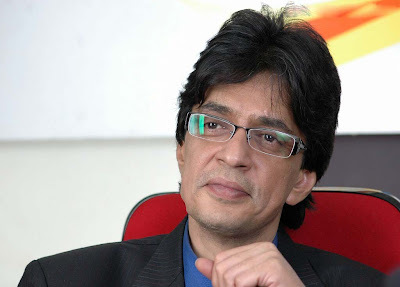 The Best Performer award in memory of late actor Raghuvaran will be given every year henceforth. The actress, television host, dubbing artiste and social activist, Rohini, has instigated the move to initiate this award in memory of Raghuvaran, her late husband. The award will be given on December 11th to commemorate his birth anniversary every year. Rohini married Raghuvaran in 1996 and divorced him in 2003. They have a son born out of this wedlock. Despite their divorce, Rohini continued to have a cordial relationship with her husband and in-laws. Raghuvaran was a natural actor who performed the best before the camera. Some of his all-time memorable roles were in Samsaram Adhu Minsaram, Puriyaadha Pudhir, Anjali, etc. It is indeed an excellent move from Rohini in honor of her late husband. Here's something interesting about Gautham Vasudev Menon's upcoming film Neethaane En Ponvasantham that is close on the heels of completion. Having received brickbats for his couple of movies: Nadunissi Naaigal and Hindi remake of Vinnaithaandi Varuvaaya, the filmmaker keeps his fingers crossed now with the hopes of giving a best show with Neethaane En Ponvasantham that is simultaneously shot in Tamil, Telugu and Hindi. 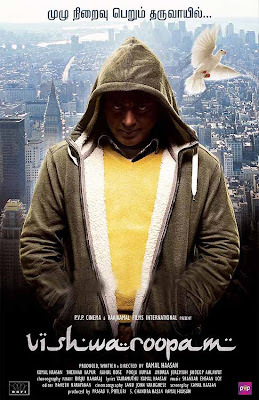 The film has Jiiva and Samantha in lead roles while maestro Ilayaraja is scoring music for the film. Here's the latest buzz about this movie rounding upon airs that the film is inspired from a Hollywood romantic classic One Day Anne Hathaway and Jim Sturgess in lead roles. Though not completely lifted from the basic plot, the films share a similar storyline where the couples travel a long journey across years in love. Now we have yet another reason to look forward for May Day. Ajith fans are expecting the audio of Billa 2 to hit the stands and Kamal Haasan's fans will get a sneak peak of Viswaroopam on this day. The latest buzz is that Thuppaki's first look will also be revealed on May Day. 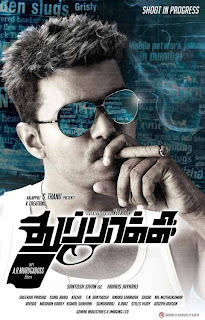 News about plans to release the Thuppaki poster would certainly have Vijay's fans go bonkers. 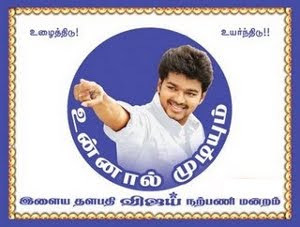 According to industry sources, the ads have already been given for print in various dailies and magazines and it will be a treat for all Ilayathalapathy's fans. The expectations for Thuppaki is very high as it is being directed by AR Murugadoss who has given continuous hits Gajini and 7 aam Arivu. Further, the internationally acclaimed cinematographer Santosh Sivan is wielding the camera with Harris Jayaraj taking care of the music. Suriya along with Kajal Aggarwal and 500 dancers is shaking a leg for a peppy romantic number for 'Maatraan' in the scorching heat of Jodhpur. The team is shooting in a high temperature of 41 degrees in the desert. The film that was initially slated for a summer release saw an indefinitely delay thanks to a tussle between FEFSI and TFPC. 'Maatraan' is a high voltage action entertainer that brings back to big screen the hit combination of KV Anand, Suriya and Harris Jayaraj who earlier delivered blockbuster 'Ayan'. This film has Kajal Aggarwal as the lead lady. 'Maatraan' that has some stunts captured with performance motion capture technology is touted to see Suriya in more than one dimension, with both positive and negative shades. After suggesting the name of Sneha, tinsel town circles are now agog with an 'info' that Anushka will be seen in the Tamil and Telugu remake versions of Bollywood film 'Kahani', which had Vidya Balan in the lead role. "Anushka recently watched the film and was thoroughly impressed. A leading production house will produce both the Tamil and Telugu versions. Talks are currently in a crucial phase," they say. 'Kahani' is about a pregnant woman who is in search of her missing husband. The way the role was carried by Vidya Balan won her huge applause. Ever since the film hit the screens, there was a buzz that it would be remade in the south. Meanwhile, Anushka is at present busy with 'Irandam Ulagam' directed by Selvaraghavan, 'Alex Pandian' with Karthi Sivakumar and 'Thaandavam' with Vikram apart from Tollywood projects.